How an American student of Italian origin traveled to Florence to work on his Master’s thesis and mingle with the locals—and ended up tripping over the world of Italian artisanship. And how he discovered the secret ingredient of Italian lifestyle and elegance: heart. To travel to a city and go beyond what meets the eye. To mingle with the locals, talk to them, become their friend, to dine with them, to create memories together. To understand truly what makes a city tick, to understand the engine that has powered it through the centuries. This was my goal when I moved to Florence a few years ago to work on my Master’s thesis. I wanted to dig deeper than the classic tourist traps, emerge from what is often described as the “study abroad bubble” and dive feet-first into the local culture. I had hopes for participating in the local customs, and tasting the local dishes. It wasn’t long before I ate more homemade ribollita recipes than I can count. They were all delicious. I even joined my friends in Santo Spirito’s fan section at the Calcio Storico championship match. The calcianti didn’t let me down, the game was just as brutal as it is reputed to be. What I didn’t expect, though, was to meet dozens of talents who represent the industrious core that has distinguished Florence for so many centuries cheap viagra 100mg. The decedents of those craftsmen that supplied Lorenzo de Medici’s court with the priceless jewelry, ceramics and furniture that today fill the shelves of so many museums throughout the world. In short, my personal discovery of Florence’s artisanal industry came as an unexpected surprise… As a matter of fact, I tripped over it. It started with getting lost on my way to school and stumbling upon Paolo Penko’s workshop on Via Ferdinando Zannetti, just a few blocks from the Duomo. Through the store window, which glistened with elaborate necklaces and sparkling rings, I could see a man hunched over a workbench, shaping his next creation. I knocked on the door, introduced myself to Paolo, and through him discovered my greatest passion: Italian Artisanship. Paolo is a goldsmith with more than 20 years of experience. We spoke extensively about his craft, and he explained how he applies historic techniques that are particular to the Florentine tradition to each one of his masterpieces. He showed me a few examples of jewels that he created as a direct result of his research: pendants inspired by Botticelli’s Primavera, bracelets inspired by the crests of notable historical figures, the list goes on, each jewel more beautiful than the next. What truly left an impact on me, though, was the timeless beauty of Paolo’s works that were so directly inspired by the Renaissance: each piece was just as contemporary as it was faithful to the 500-year-old esthetic that inspired it. It’s been a few years since we first met, and I have since met dozens of artisans from all over Italy. Despite the different crafts that they might practice they all seem to share a common ability to create timeless masterpieces. Although I cannot prove it, my instinct tells me that the artisans owe it to one secret ingredient: heart, the birthplace of passion in each and every one of us. In fact, while we live in a world of quantifiable data: returns on investment, key performance indicators; profits, margins and ratios, there exists a parallel world where passion is the primary motivation to get to work every day. 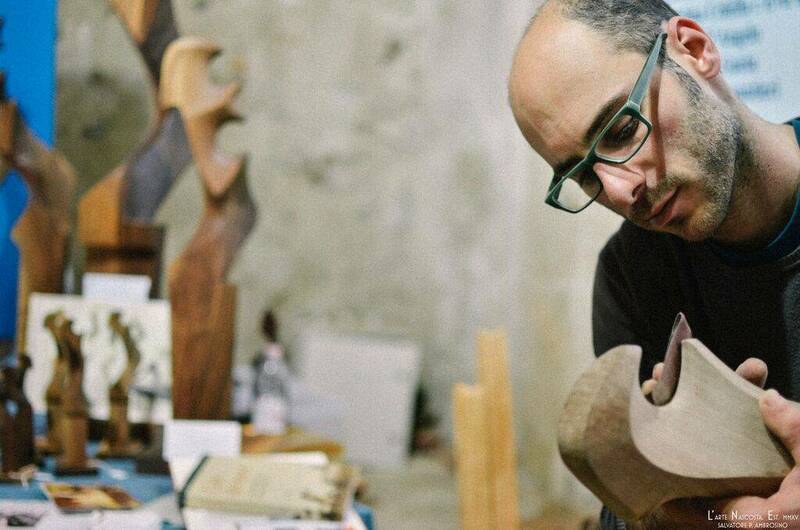 It was passion that inspired Marcello Aversa of Sorrento to leave his family’s lucrative brickmaking business and dedicate his life to making miniature créches in terracotta. He has since been commissioned by the Pope. 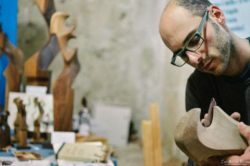 The same passion led Piero Dri of Venice to step away from his university degree in Astronomy to dedicate his life to making forcoli, or oarlocks particular to the Venetian gondola. He now sees rowing as a way of life and, in addition to his craft, helps many explore this alternative, healthy and low cost option to discover the Floating City. Likewise, it was passion that pushed Elena Bianchini of Florence to pursue a career as an artisanal Costume and Set Designer. She researches sustainable ways to transform simple household objects like paper and even rags into elaborate busts and 18th century frocks; most recently she was appointed founding-director of the in-house atelier for Set and Costume Design at Florence’s prestigious and historic Teatro della Pergola. Heart and the passion it generates cannot be analyzed on a spreadsheet. Its essence has been a mystery since the beginning of time. It is what inspires photographers to take pictures, singers to sing, and creators to create. It is that magic that fills the room in anticipation of a live performance, the wondrous moment of awe-filled suspense when human hands are on the verge of creating something from nothing. It is an unquantifiable extension of the human spirit – every artisan’s most valuable tool. So often we allow spreadsheets to cast their shadow on the heart. We tend to favor indicators like the Intelligence Quotient (IQ) over the Emotional Quotient (EQ), which is favored over what I like to call the Human Quotient (HQ) – that extension of the heart that is every artisan’s secret ingredient. It is the core of what makes their creations so beautiful, and why they, as individuals, are such an inspiration… an inspiration that never overlooks the heart.